Portfolio Web Pro is a modern and sophisticated WordPress theme. 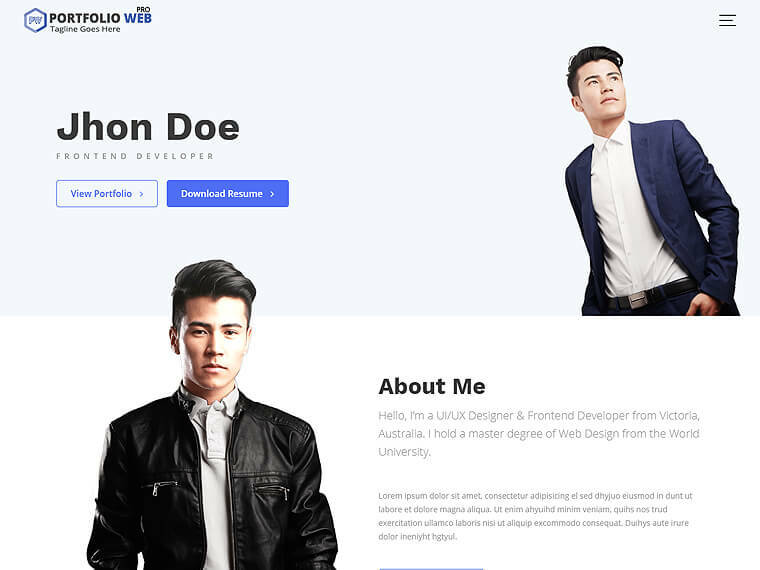 It is seemingly an ideal WordPress theme for creating a portfolio website. The theme has been made with supreme quality code and astonishing graphics. With its awesome features and perfect layout design, a wonderful and attractive portfolio site will be ready instantly. Being a multipurpose theme it can also be used for several other purposes. It’s an extremely responsive theme and adapts excellently with any kind of smartphones and tablets. Having integrated with WooCommerce extends the flexibility of the theme. People can make an online booking for tickets instantly with at ease.It is a highly responsive theme and has good compatibility with Page Builder by SiteOrigin with which the layout can be modified and designed accordingly. 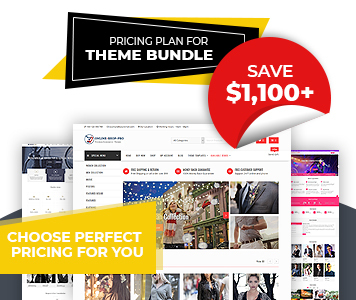 Other features the theme offers are Advanced Custom Widgets, Advanced Logo Options, Custom Sidebar Areas, Layout Controls, Colors Options, Category Color Options, Breadcrumb Option, Social Media Integration, Browser Compatibility, Translation Ready etc. Designed especially for Portfolio Sites. One page or Multiple pages ready, Used for several other purposes. Built with Live Customizer tool which allows users to customize most of the theme settings with live previews. A custom template is available to make the inner pages with the help of Page Builder by Site Origin Plugin. Use the page builder plugin to make an awesome site. By the concept of a repeater, you can use an unlimited number of a slider on your site. Just select the page, you will get all the slider easily. No restriction. AT About Widget help to show about the section on the home page easily. Change the column number as your need. No any restrictions on numbers. Email, Phone & Social icons are managed from the header area. You have full control over that. Footer section comes with your own copyright text and Social Icons. Manage the footer section easily from customizer. Add your own logo from the theme option. And display with site title, site description or both. You have full control of customizing the front page with drag / drop / reorder widgets and theme options. Create your Frontpage as your need. Applied to the slider background image on home/front page and header images of inner pages. The theme have custom sidebars areas for managing/designing the contents on Homepage, sidebars and footer. You can enter custom copyright text in the footer area from the theme options. Sidebar options with left, right, no sidebar on home page and inner pages. You can easily control the front page content or blog content of the front page. You can show/hide easily. You can easily change the primary color and background color of a site with a single click. You have more colors for Featured col sections and footer section as well. Set the different color for each category and product category via this category color options. This is the best options to make the awesome site. Make your site background awesome. You can add any background image with different advanced options in your site. Through the theme options you can enable/disable to show breadcrumb in the site. Added very popular social medias to link your profile from the site. Theme is translation ready. You can change your theme on your own language. Acme Themes is team of expert WordPress developers. We provide Best Premium and Free Responsive WordPress Themes with incredible support & many other services.